HELENA, Mont. 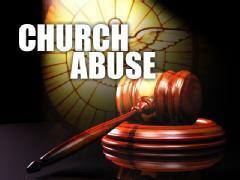 -- Forty-four new plaintiffs have been added to a lawsuit alleging the Roman Catholic Diocese of Helena is responsible for the sexual abuse they say they suffered as children. That brings the total to 117 adults who allege they were abused in western Montana from the 1950s to the 1970s. The amended lawsuit filed Wednesday names three diocesan priests as alleged abusers. The diocese had responded to the original lawsuit filed in September by saying the priests were Jesuits not directly affiliated with the diocese. Diocese spokeswoman Renee St. Martin Wizeman says the diocese has not seen the lawsuit, but that the three priests are deceased. A separate lawsuit by another 45 Native American plaintiffs makes similar allegations of abuse at the hands of Ursuline nuns and priests.